Simply Jews: Forward, to a gentler and progressive Israel! Er... how? Forward, to a gentler and progressive Israel! Er... how? Another stumbleupon situation that caused me to argue with another Jew. Two Jews arguing is usually a lose/lose game, but in spite of this we have never been able to desist. This time it was a Facebook encounter with Nathan Friedman Hersh*, who penned an article Israel's Only Policy on Gaza Is to Beat the Drums of War in (you guessed right) Haaretz. Before I get to the fisking, let me say that I agree with the headline. It is nothing more and nothing less than a statement of fact. This is exactly what is going on for quite a few years. While the beating of the mentioned drums is never as belligerent as in the picture below, the threats aimed at Gazan leaders in particular and Hamas in general are an almost daily occurrence, so far never carried out to their full extent. Let's start with the most important point: the article, heavy on criticism and denigration of the government, doesn't offer any solution to the hellishly difficult situation with Gaza. Nothing, zilch, gurnisht. One would have hoped that an article with such a bombastic headline and of such epic length will have at least two thirds of it dedicated to a solution that will stop the strife. But no, that hope fell flat. The first is a 2011 Israeli initiative designed to alleviate the blockade of Gaza with an offshore seaport. The plan would help improve the plummeting Gaza economy while also helping ensure security for Israel. Another plan to ease the humanitarian crisis in Gaza is a solar energy field Israel would build, perhaps with Gulf funding, to supply Gaza with continuous electricity. 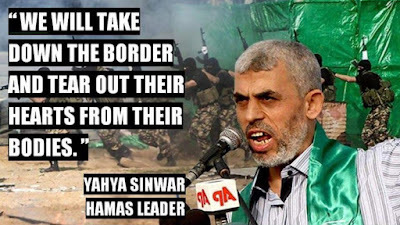 Let's assume that Hamas agrees to a seaport with our military oversight and that Hamas/Islamic Jihad rocket scientists don't destroy such an easy target as a solar energy field, in one of their fits of freedom fighting zeal (as they have repeatedly done with border crossings that provide their vital supplies, electricity, gas and water lines etc.). But what exactly is new with the proposal? I am getting tired to remind people to look at what was agreed with Palestinians toward the disengagement with Gaza, to recall the airport that was build and had to be destroyed, the seaport plan that had to be scrapped etc. We all know how it started and how it ended, don't we? The other fault with the idea of improvement of Gazans' (indeed largely pitiful) conditions is the assumption that the leaders of Gaza care about their lot. So far, all we have seen shows the opposite. People who build their shelters under hospitals and launch rockets from schoolyards don't really care, that much is crystal clear. People who use all available metal to build Qassam rockets and the available cement to build tunnels (not the drainage ones, to our sorrow) don't really care. But in fact blockade had one purpose only: to prevent smuggling of more and more sophisticated weapons that are so helpfully provided by Iran and other state actors unhappy with the mere fact of our existence. And it is working - not a full proof measure, but it works. Nothing more, nothing less. Instead of listening to those voices, however, the government was satisfied to allow the army to set Israel’s policy toward Gaza. By yielding to the army the mandate to form solutions for Israel’s Gaza problem, government ministers avoid accountability. What are the voices that should be listened to is totally hidden, the article so far doesn't mention any. The point about letting the army to set Israel's policy toward Gaza is factually wrong - it is the army and Shin Bet that support and push for an improvement of Gazans' living conditions. The point about accountability mentioned is quite absurd: there is a minister that is responsible and accountable for the military and there is a PM responsible for that minister. The buck doesn't stop an the CoS' table. Meaningless and confused. Thousands (multiple) of innocent people - right, Nathan? 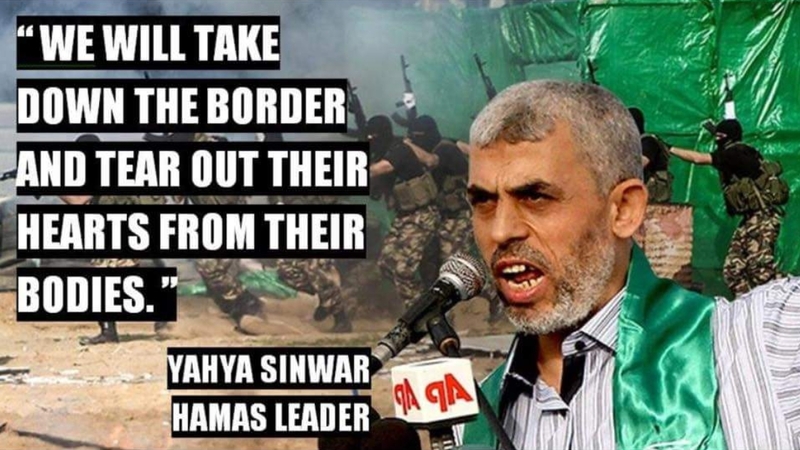 - no matter how many of those killed were rank and file of Hamas troops? No more comments on this one. As with the occupation of the West Bank, there is no alternative policy to the Gaza blockade. This is by design. What kind of a dark design it is, remains unexplained in the rest of the article. Both Israelis and Palestinians deserve the possibility of freedom from occupation and blockade. Israelis deserve a government that can offer them long-term, multi-faceted protection from their enemies. What is omitted from this passage is whether we deserve an end to the attempts to kill us in many different ways. Because the only thing Nathan mentions is "multi-faceted protection", whatever it means. Not peace. (*) Nathan Friedman Hersh is a writer and the former managing director of Partners for Progressive Israel**. He has written for the New York Times and the Washington Post. He served in an unnamed IDF combat unit, as follows from the article discussed here and is studying medicine in US. Much to respect, even if his views are somewhat or sometimes confused and his responses when in a tight corner tend to "it is all hasbarah" knee-jerk reaction. (**) A group that seems to be affiliated with (or very close to otherwise) Israeli Meretz party. Nothing to be ashamed of, some of my closest and dearest are members, but defines one's political allegiances quite well. Boycott the settlements' produce, strive for real peace etc.